At the very last minute, the day before the show, I was given a free ticket to Justice at Paramount, after a friend couldn’t go. This show sold out very fast, I remember seeing the rad flyer and just being happy that a lot of people would get to see them in Seattle. 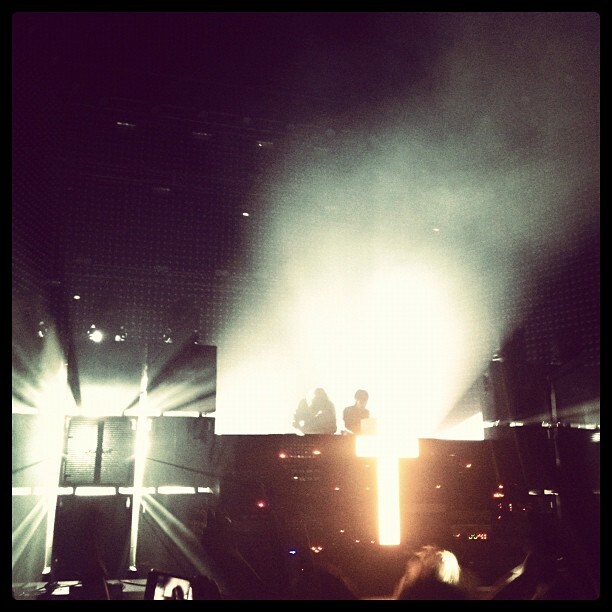 My first time seeing Justice was for the “A Cross The Universe” tour at Showbox Sodo with Diplo. This was my first time hearing of Diplo, I remember my friends and I making fun of his name, we thought we were seeing Chromeo. Apologies to Diplo, I was dead wrong poking fun at him, his set was really cool and from time on, I became a fan of his label, Mad Decent. 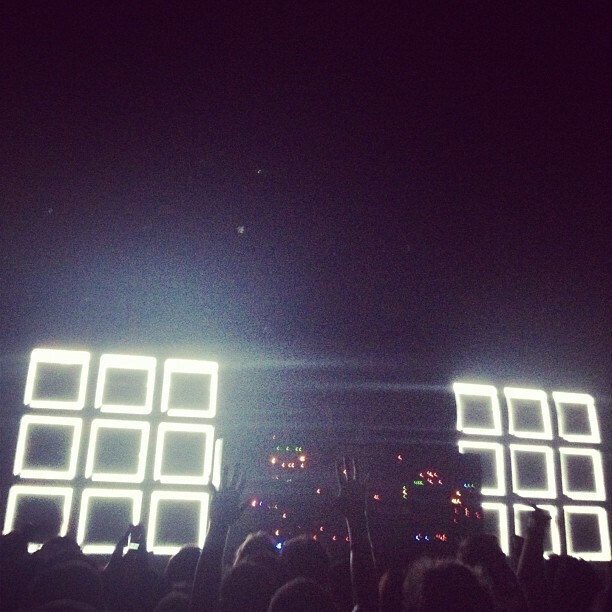 And now round two with Justice, this time at the beautiful Paramount Theatre. Breakbot, of Ed Banger Records, comes out looking super chill and goes into a classy, groove-tastic mix, the likes of which are rare for younger crowds around here to witness. 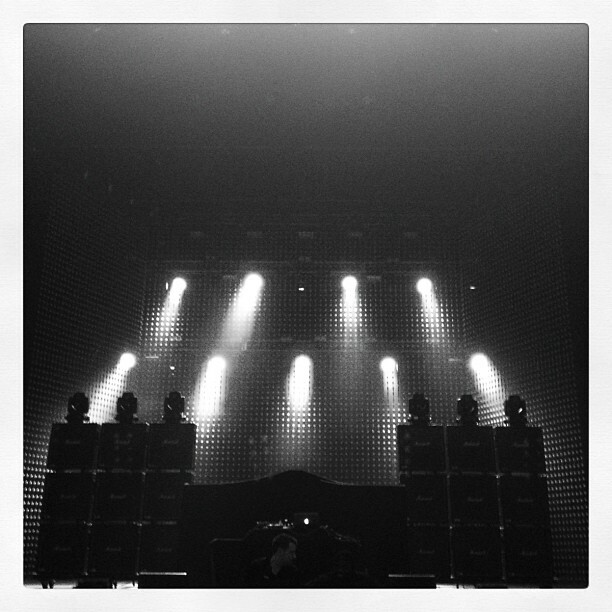 Justice comes on and the crowd is HYPED. I had seen videos of their new live rig, but totally underestimated what it could do. 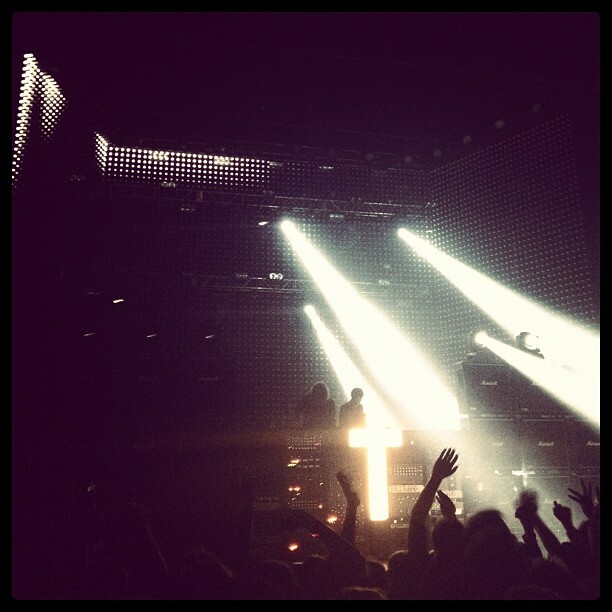 The way the stage set up interacted with the music was brilliant, the center cross piece slowly spread apart at times, revealing a white, lit-up piano, where Gaspard and Xavier would play little melodies to their songs. 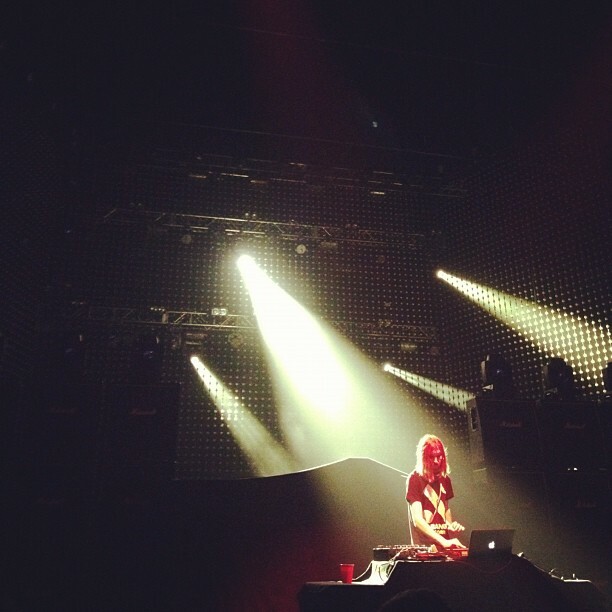 Throughout the show, the stage and lights would get more and more involved, with new surprises at almost every transition. The whole set looked and sounded like a perfect evolution from the last time I saw them. Truly masterful artists, one of the best in the world. Cheers to Justice!